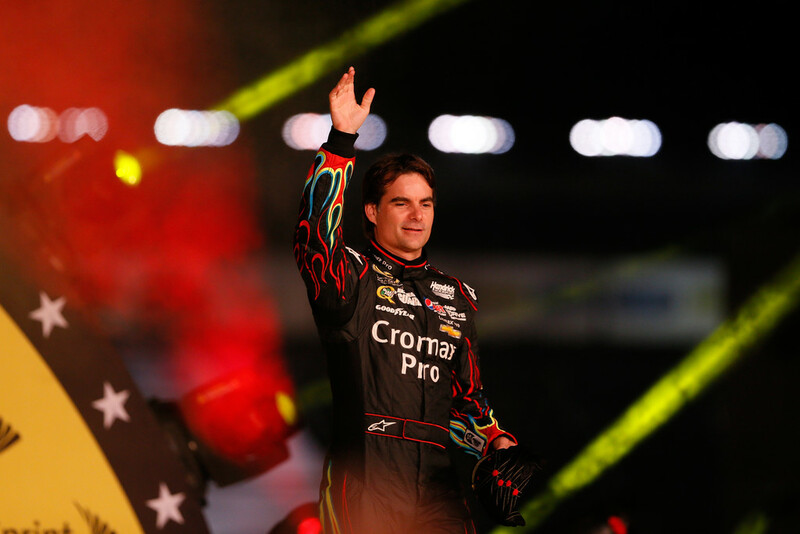 Jeff Gordon’s final start in the All-Star Race netted a 4th place finish. 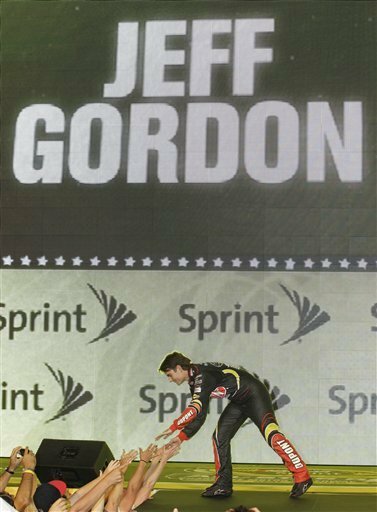 Gordon started 9th in the first segment of the event. He moved up to 6th place by the end of lap 3. 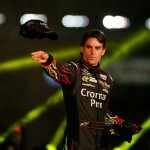 He dropped to 7th when Kurt Busch went by on lap 11. 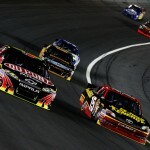 He battled tight handling and took 6th from Greg Biffle at the end of the first segment. The drivers came to pit road with Gordon exiting in 7th place. 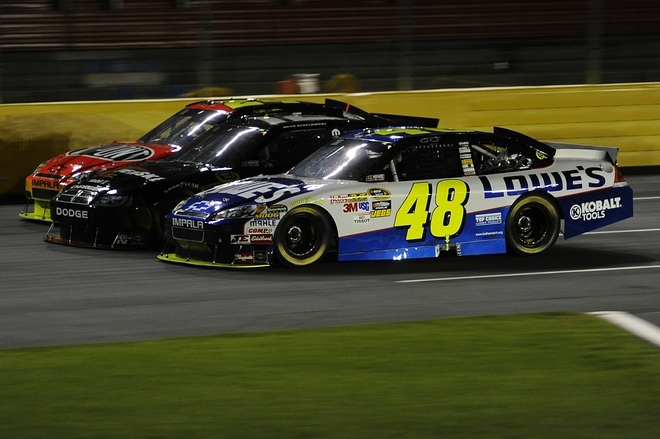 On the restart, Gordon used the inside line to his advantage and moved to 4th place on lap 27. 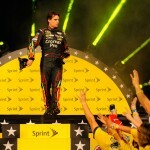 He took 3rd from Denny Hamlin on lap 29 where he closed the second segment of the event. The crew changed four tires and Gordon restarted in 7th place due to some drivers opting for two tires. 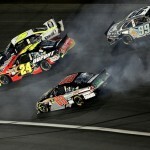 The inside line struggled at the start of the third segment after Joey Logano and Jamie McMurray made contact. 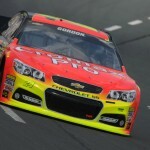 Gordon slipped to 8th on lap 52. He took 7th from McMurray on lap 56. Two laps later he took 6th from Matt Kenseth where he concluded the third segment. Gordon exited pit road in 8th place after taking four tires. On the restart, he slipped to 10th before regrouping to take 9th on lap 79 from Joey Logano. Five laps later he took 8th from Kenseth. 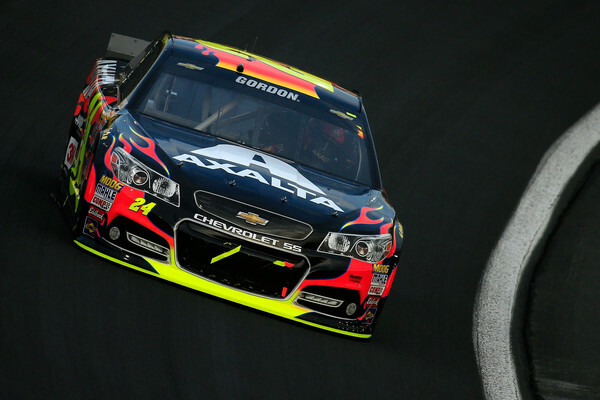 Gordon passed AJ Allmendinger to take 7th place on lap 89 where he finished the segment. The drivers came to pit road based on their average finish in the first 4 segments. 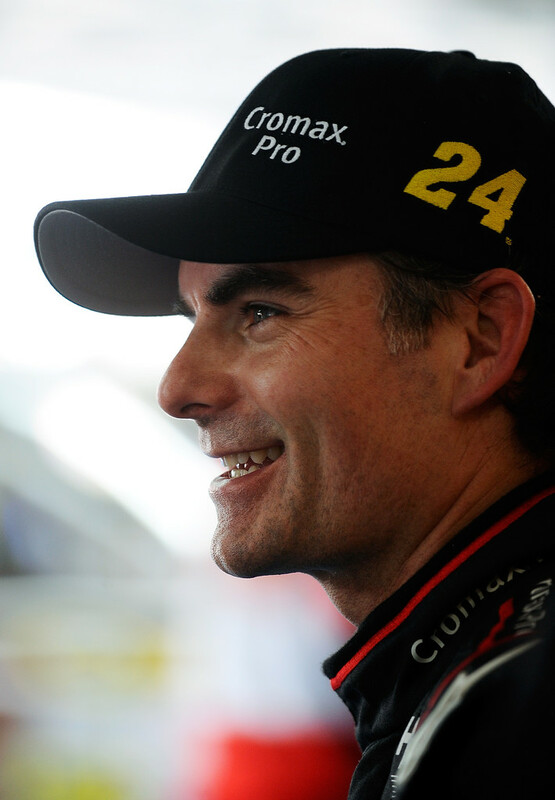 Gordon came to pit road in 5th place based on the average finish. He exited pit road in 5th place for the restart of the final 10-lap segment. 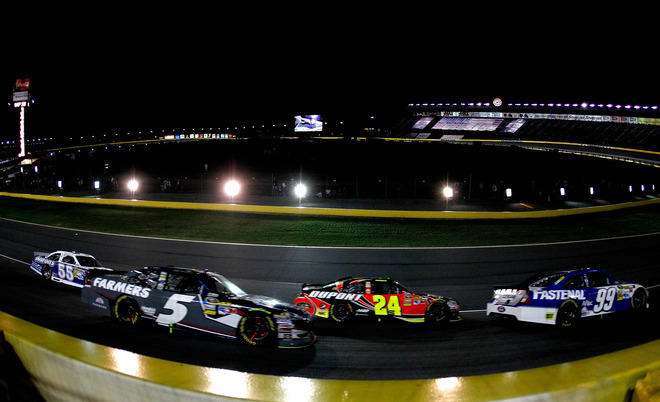 On the restart, Gordon moved up to 4th behind Denny Hamlin, Kevin Harvick, and Kurt Busch. As Hamlin pulled away to win, Gordon briefly battled with Kurt Busch for 3rd place before settling into 4th where he finished the event. 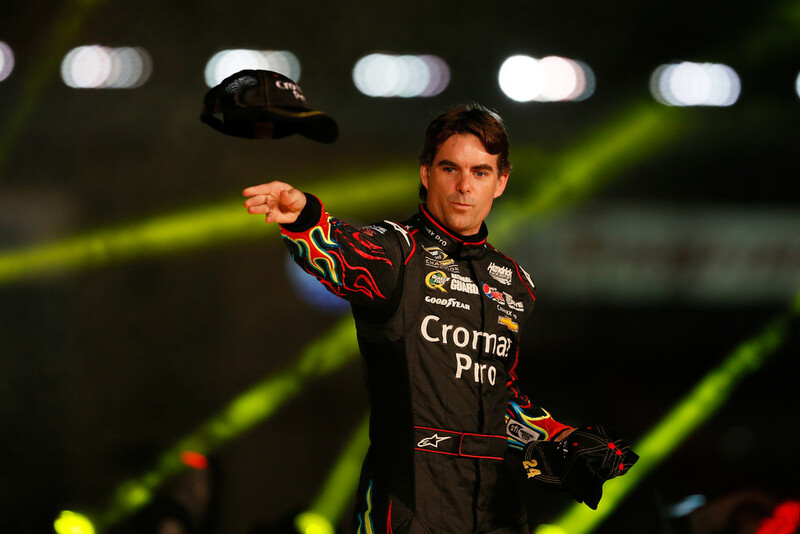 Jeff Gordon’s frustration in the All Star Race continued with a lap 61 crash which eliminated him from contention. 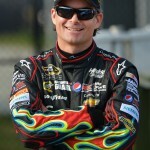 Gordon has not posted a top-10 finish in NASCAR’s annual All Star showcase since 2006. 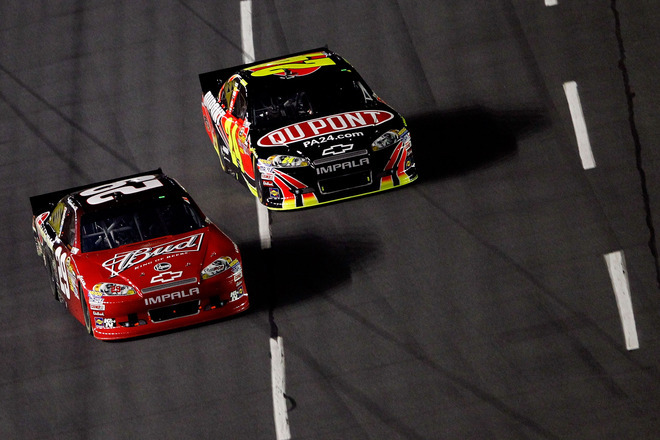 Gordon started 4th and took 3rd from Kevin Harvick on lap 11. 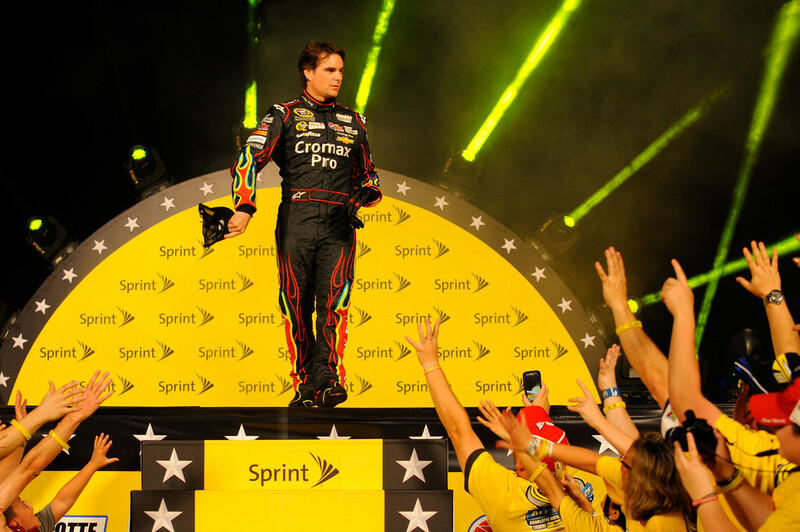 He took the runner-up spot from Carl Edwards on lap 14 and finished the first 20-lap segment behind Kyle Busch. Gordon opted for four tires on the pit stop and started 7th at the start of the second 20-lap segment. 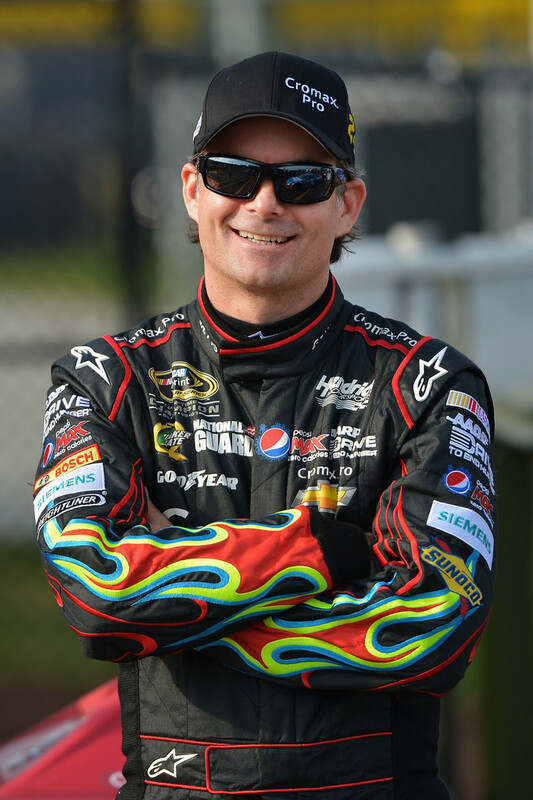 He moved to 5th on lap 23 and took 4th from Kurt Busch on lap 24. One lap later, he dove to the inside entering turn 1 to take 3rd from Brad Keselowski. On lap 27, Kyle Busch spun and collected Joey Logano, which eliminated both drivers. On the restart on lap 31, Gordon dropped to 5th prior to AJ Allmendinger’s crash on the backstretch. 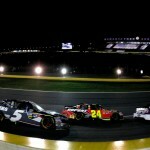 On the next restart, Gordon was held up by Denny Hamlin on the inside line and dropped to 7th. He concluded the second segment in 7th place. Gordon took four tires during the pit stop sequence and started 12th in segment three. 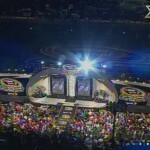 He moved to 10th on lap 47 with a move around Greg Biffle and took 8th from Martin Truex on lap 49. He concluded the third segment in 8th place. Once again, Gordon opted for four tires during the pit stop between segments and started in 11th place for segment four. 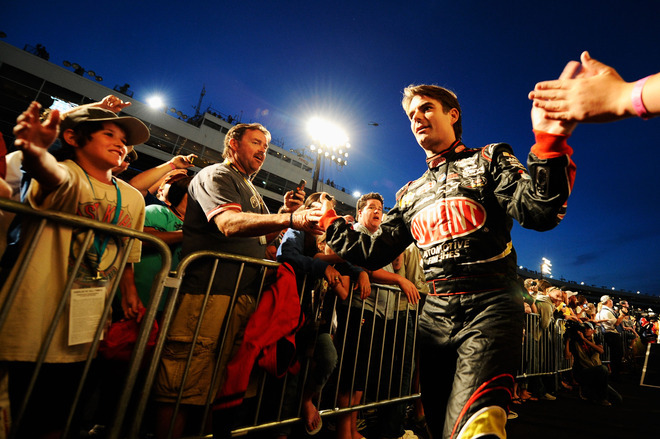 His night concluded on lap 61 when he slowed and moved up the track. Martin Truex got into the rear of Gordon’s car, which sent the #24 car into the wall with heavy right side damage. Gordon pulled to the garage for an early end to his night. A suspension failure sent Gordon up the track and into the wall on lap 61. 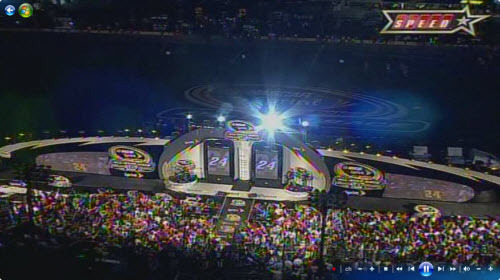 Jimmie Johnson claimed his fourth career win in the NASCAR All Star Race, breaking a tie with Jeff Gordon and the late Dale Earnhardt for the most all-time. 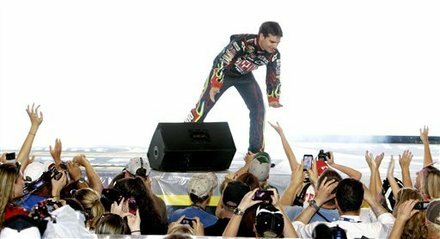 Saturday night at Charlotte, the NASCAR Cup drivers took a night off from points racing to go after the 1 million dollar prize in the annual Sprint All Star Race. 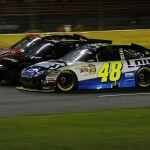 Jimmie Johnson would win the final segment for the big prize and his 3rd All Star Race Victory. 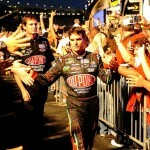 That would tie other NASCAR greats, Dale Earnhardt and Jeff Gordon for most career All Star Race wins. Jeff finshed the race in 13th place and never challeneged for the lead. Hopefully the team was able to gather some important data for next week’s race. 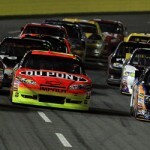 The Series picks up next Sunday at the same track for the Coca Cola 600. 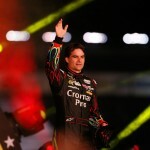 A restart miscue preceding a pit road mistake doomed Jeff Gordon’s chances in the All Star race. Gordon started 12th and moved to 9th on lap 20 after the field became strung out around the track. 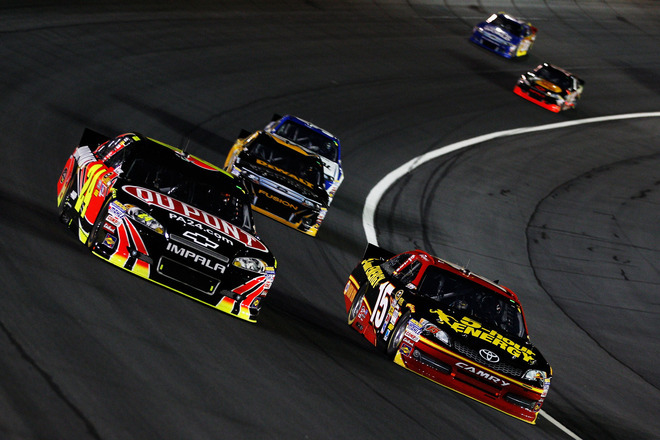 The field pitted on lap 25 with Gordon holding 9th place through the sequence. He dropped back to 10th on lap 38 when Matt Kenseth passed, but re-took 9th with a pass on Mark Martin on lap 43. During the break, Gordon pitted for four tires. 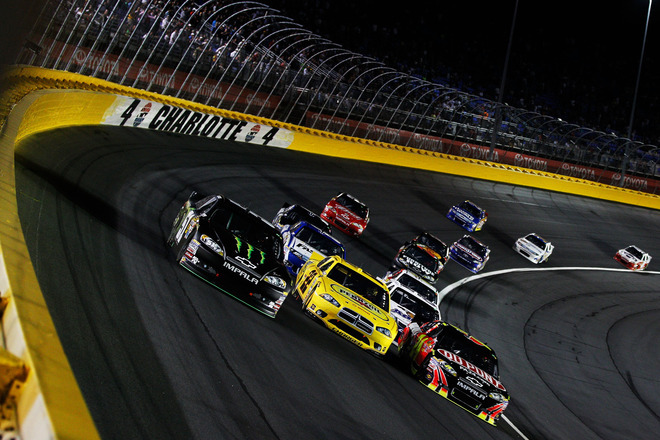 In the second segment, Gordon moved to 7th in the opening laps and took 6th when Kasey Kahne wrecked in turn 1. Gordon moved into the top-5 toward the end of the second segment. He restarted in 3rd to begin the third segment. 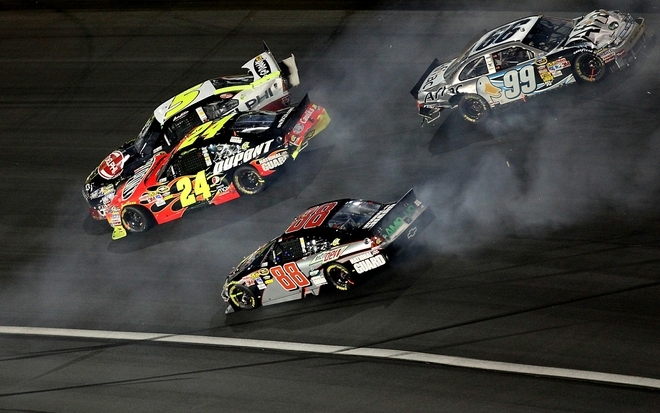 On the opening lap, Gordon took 2nd from Carl Edwards. 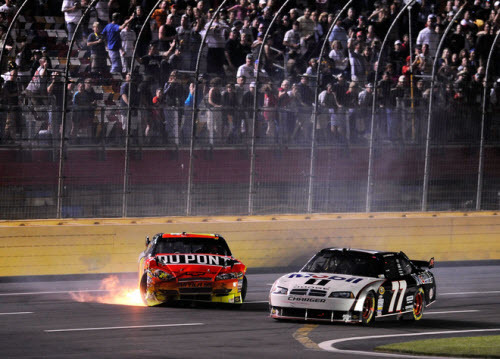 Regan Smith’s spin slowed the field and Gordon restarted on the outside of Kyle Busch. 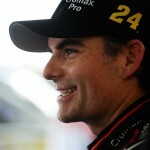 Gordon got a poor restart and dropped to 6th where he finished the segment. A break to work on the cars preceded a four-tire pit stop. Gordon came off pit road in 15th position for the restart after a slow pit stop. He ran the final 10 lap segment relatively conservatively and finished the event in 15th. 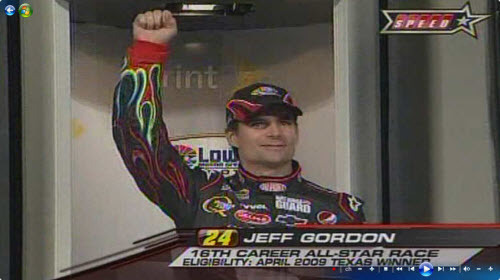 Gordon hasn’t posted a top-10 finish in the All-Star race since 2006. 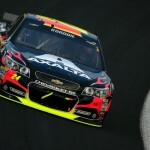 Road ahead: The event was held under the same conditions as the second half of the Coca-Cola 600 on May 28, thus providing an ideal window for a test session. 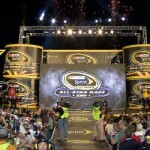 Gordon’s team has struggled on the 1.5-mile tracks in 2011, but the performance at the All-Star event shows they may have turned the corner toward improvement. 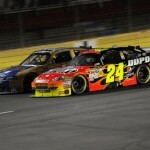 May 23 – – Jeff Gordon’s night in NASCAR’s All-Star race didn’t even make it to the end of the first lap. Gordon hit the wall coming off turn 4 on lap 1. The contact hindered handling on the DuPont Chevrolet for the remainder of the night. 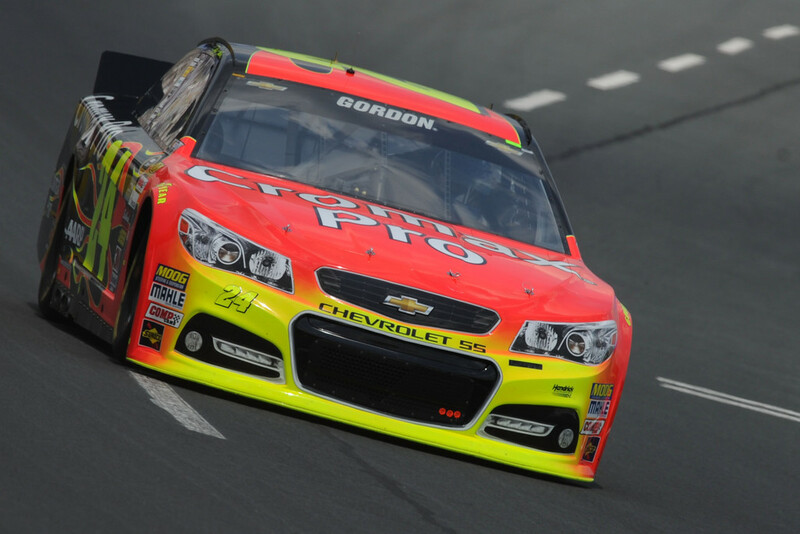 Gordon was later caught up in a wreck which resulted in a 20th place finish. Gordon started 8th in the first segment and drilled the wall coming off turn four on the opening lap. 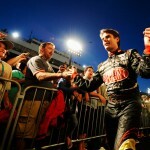 He fell from 8th to 11th while battling a tight handling condition due to the wall contact. On lap 40, he moved into 10th where he finished the first segment. 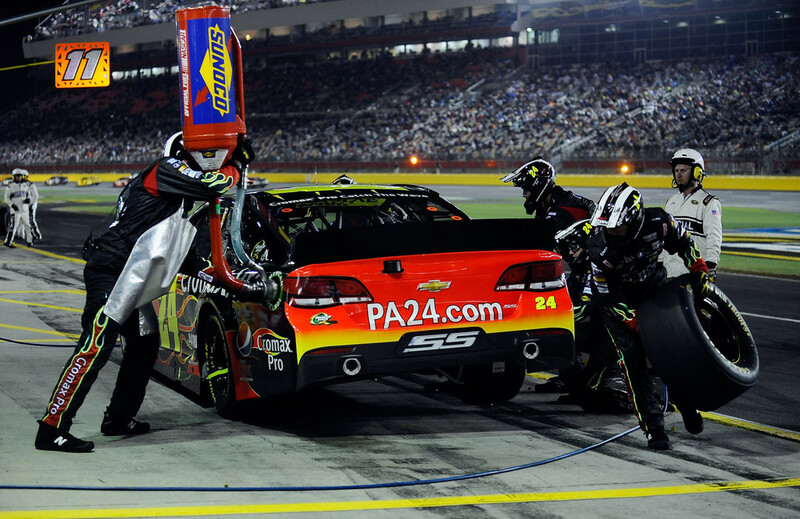 Following a pit stop, Gordon started 13th in the second segment of 20 laps. 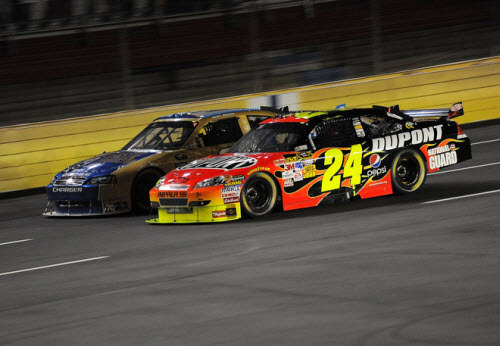 However, he was hindered by tight handling and dropped to 16th before passing Dale Earnhardt Jr for 15th with 5 laps remaining in the segment. Gordon came to pit road several times between segments for track bar adjustments and restarted at the rear of the field. He gained two spots in the opening laps of the third segment and ran 18th. In the closing stages he moved up to 13th where he finished the segment. During the 10-minute break, the Dupont team worked on the track bar and tow of the end in the hopes of improving the handling. 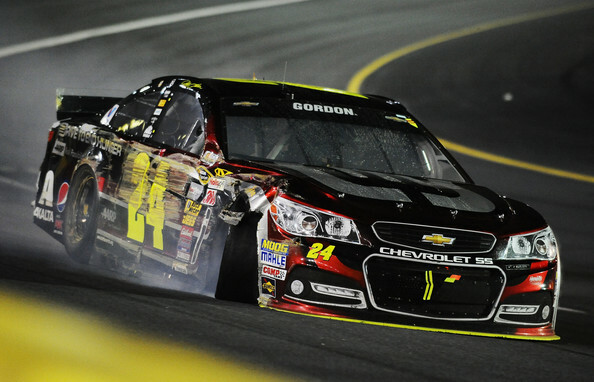 Gordon started the final segment 13th and was collected in an opening lap wreck. 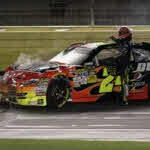 Gordon hit Mark Martin’s spinning car and damaged the front of the car after hitting the infield wall. 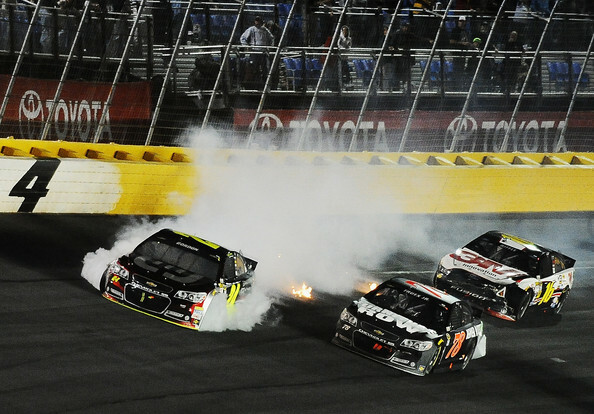 The wreck ended a disappointing night for Gordon in NASCAR’s All-Star race. 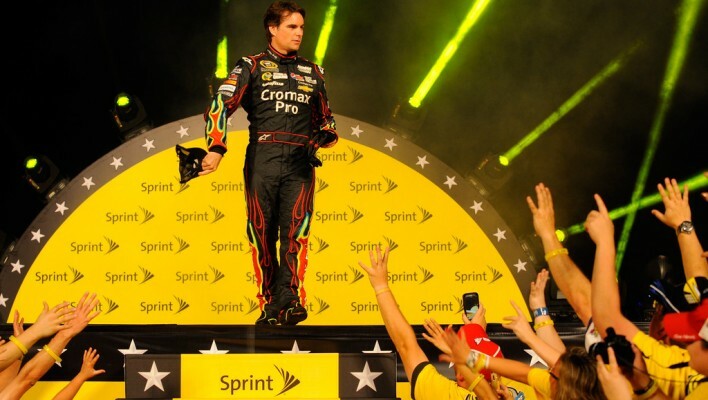 Known to drop the hammer when there’s cash on the line, Gordon earned the nickname as “The Money Man” by FOX Sports/Speed TV announcer Darrell Waltrip for the 37-year old’s five $1 million victories in his prolific career. 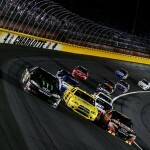 Once again in this year’s 25th NASCAR Sprint Cup Series All-Star Race at the Lowe’s Motor Speedway, the Vallejo, CA, native pressed hard for another rich payday after finishing in the top-five in the previous three segments of the event. 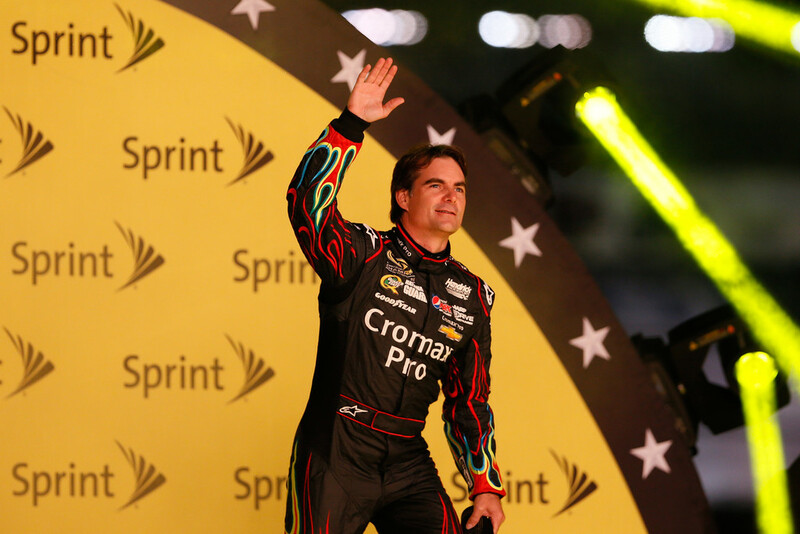 Winning the third segment, the driver of the No. 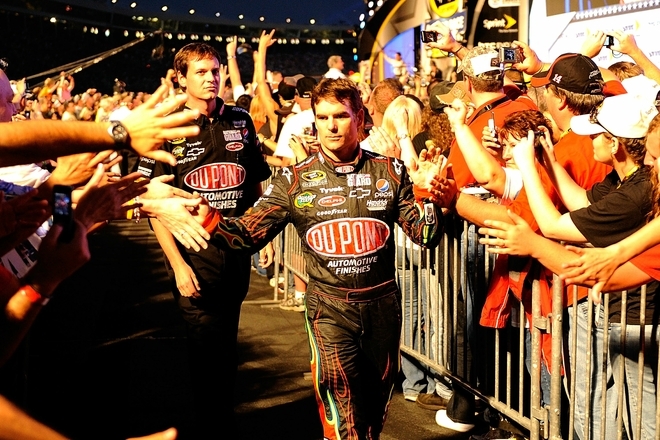 24 DuPont Chevrolet started in the “pole” position for the final 10 lap shootout, propelling his Hendrick entry into a comfortable lead. 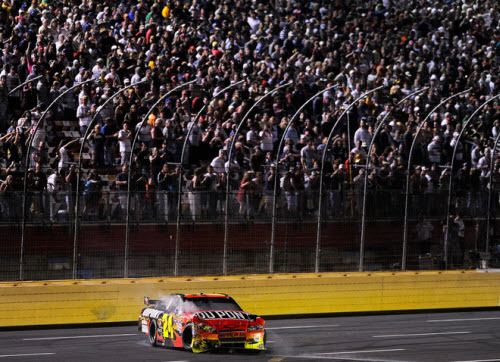 However, Gordon’s lead was short-lived, when the caution flag flew due to teammate Jimmie Johnson’s spin which bunched up the field for another double-file restart. 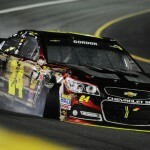 With the caution flag laps not counting in the race, Gordon’s lead meant that the bulls-eye was on his No. 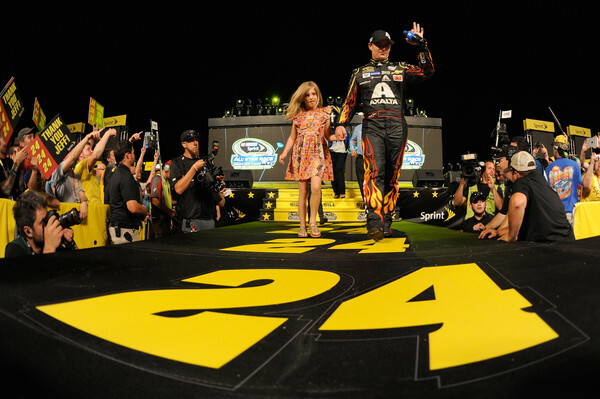 24 car-NASCAR’s version of a sitting duck. Relinquishing the lead to a hard charging Kyle Busch, Gordon did not back off from the battle for the lead and win, pushing his DuPont Chevrolet back into contention for the $1 million payout. Despite the reputation that Lowe’s Motor Speedway gets for being a spacious track with ample passing room, the front stretch did not have enough room for the top-three drivers. Gordon found himself going three-wide on the inside line with Busch and Ryan Newman battling along side, with each driver refusing to give up any inch of real estate for that coveted lead spot. 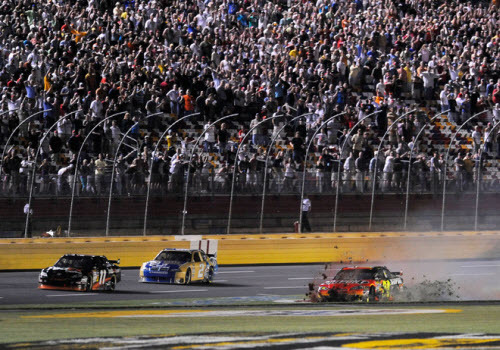 If this situation was occurring in next Sunday’s Coca-Cola 600, chances are that Gordon, Newman, or Busch would have backed off the throttle to give each driver some racing room to avoid what would result in sheet metal mayhem. 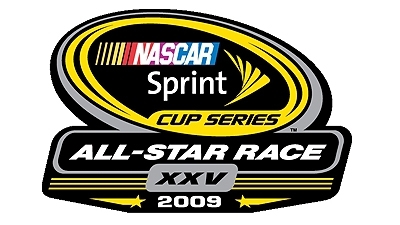 Well, this is the All-Star Race, where points don’t count and only the winner gets remembered after the contest. Usually. 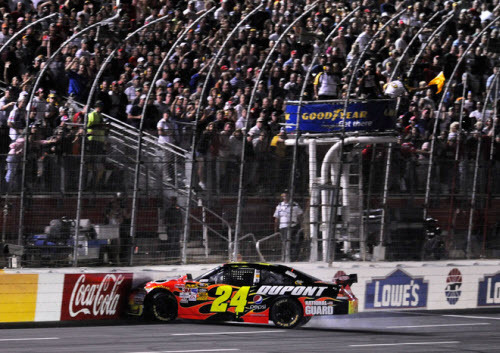 Unfortunately for the case of Gordon, he will remember the 2009 edition of this race as the one that got away for he and his No. 24 team. Refusing to give up his position on the track, Gordon found himself going for a wild spin across the front-stretch grass, sliding through that portion of the track until coming to a halting crash into the SAFER barrier just after the dog-leg before Turn One. 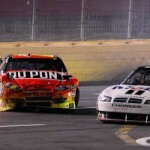 While the result for this year’s race meant some cash and a battered DuPont machine that will most likely not see any track action in the immediate future, Gordon and company can be consoled by the fact that their performance tonight was reminiscent of his dominant days of the past. 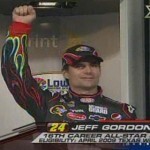 When’s the last time you remember Gordon actually going for the win in the All-Star Race, much less at LMS? In my preview article documenting the factors heading into this event, I made a comment on how the three-time event winner has not exactly contended for the lead or engaged in a spirited battle for the win in this race. While Gordon’s gamble proved futile and costly, the performance that he delivered in front of the racefans was nothing short of magnificent. 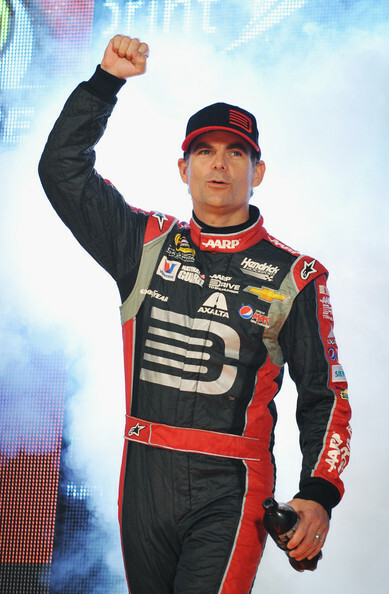 Finishing among the top-five in the three segments, including his third segment win, Gordon looked like the champion of the past who pushed his cars to the limit. 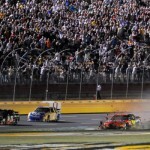 With the Coca-Cola 600 next on the racing schedule for the Cup series, we may have not seen the best from the No. 24 team. Defeated and out from the All-Star Race, won by satellite “teammate” Tony Stewart, look for the 600 to have a retro feel with the current points leader right there for the win next Sunday. 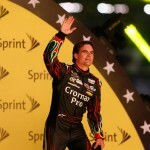 Jeff took the checkered flag in the 3rd of 4 segments in Saturday nights Sprint All Star Race. 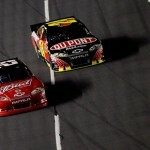 Segment 3 featured a great duel between Jeff and Kyle Busch. Jeff would go on to wreck in the final segment after some hard 3 wide racing. 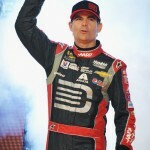 May 17 – – With $1,000,000 on the line in the All-Star Challenge, Jeff Gordon held nothing back and went for the win with a daring move in the final 10-lap segment. Finishing second in this race was simply not an option. 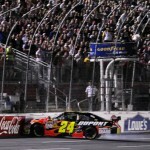 Gordon took the checkered flag in the third segment and led the field to the green flag for the final 10-lap shootout. On the second lap, he wound up getting loose on the inside of a three-wide battle for the lead and spun into the frontstretch wall. 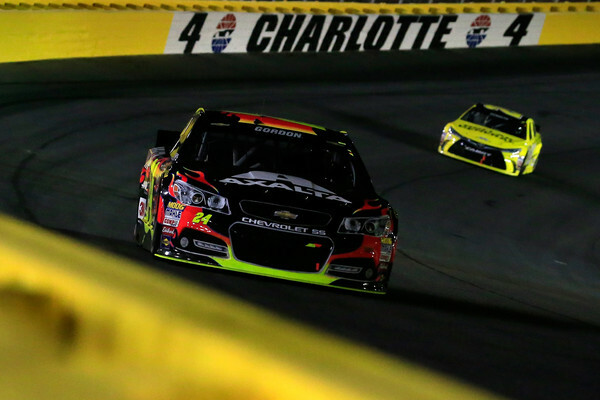 While the night ended in disappointment, the overall strong effort during the event bodes well for next weekend’s Coca-Cola 600.